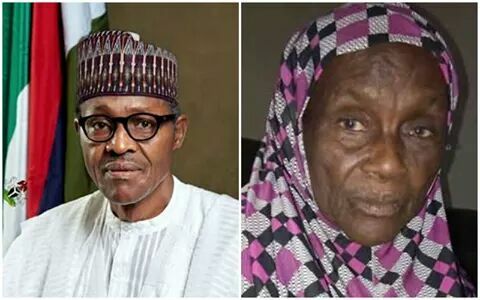 Buhari's Junior Sister, Hajiya Rakiya Adamu Will be 86 Years on her Next Birthday while Buhari is only 75 years. 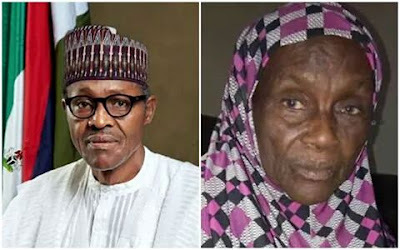 However, he was in London for a total of 158 days in 2017, 283days per say, the Northern cabals later present Jubril Aminu a citizen of Sudan to govern Nigerian, Buhari's wife being aware and vow not to show up in governing as she normally follows up in rallies and other activities when her husband was alife. The present Buhari now declares Interest To Go For Re-election in 2019. That same Nigeria's failed President, Muhammadu Buhari announced it at a meeting of the leadership of the ruling All Progressives Congress (APC) his intention to go for re-election in 2019. The most corrupt leader in the world in 2017 intimated the party National Executive Committee (NEC) in Abuja of the pressure from Nigerians for him to go for a second term so as to complete the ongoing Ethnic Cleansing of Biafrans and take over their land completely, as it have been long said and dated, Buhari have vowed to Show inside and outside of him the total islamic color so as to completely islamize the entire States as promised to their grand Fathers Usman danfodio. 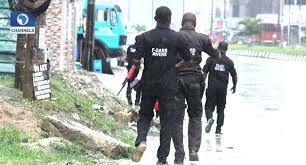 But The Great Biafrans, IPOB leadership under the supreme commander of Prophet Nnmadi Kanu can never ever relent nor slumber in making sure that Biafran Nation is protected to date or Perish forever. In Katsina, 2 Million men from PDP Rally's in the home town of the present Nigerian president ofwhich their supporters gives warning shot to the present Buhari, villagers however, claimed that this present Buhari represents Hardship and Hunger. As Biafran Ethnic Cleansing is ongoing, the present Buhari whom being controlled by the Northern Cabals and international Countries has again requested for another $1bn arms fund hich was made know by a retired military officer, Col. Hassan Labo who said that Governor Ayodele Fayose is ignorant of why President Muhammadu Buhari approved the sum of $1billion for the purchase of military equipment. The ex-military personnel said this on Thursday but as the matter stands, PDP and others opposed Buhari’s approval of $1 billion for arms. The Peoples Democratic Party (PDP) yesterday urged Nigerians to reject what it called “a renewed attempt by the presidency to loot $1billion from the national coffers to finance President Muhammadu Buhari’s interests in the All Progressives Congress (APC) national convention. Further more the Investors in Nigeria in four trading days loses N239 billion which was disclosed at the end of last week’s transactions on the equity sector of the Nigerian Stock Exchange (NSE), the bearish performance in the local bourse was sustained as the NSE’s market capitalisation dipped by N239 billion in four trading days.